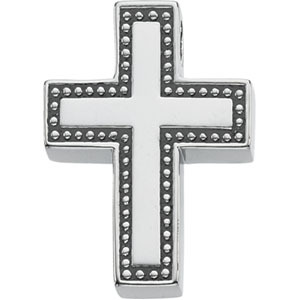 Beaded cross slide pendant is made of sterling silver. Item size: 21mm by 16.25mm. Weight: 3.25 grams Bail dimensions: 2.5mm x 1.5mm. We recommend a chain no wider than 1mm.